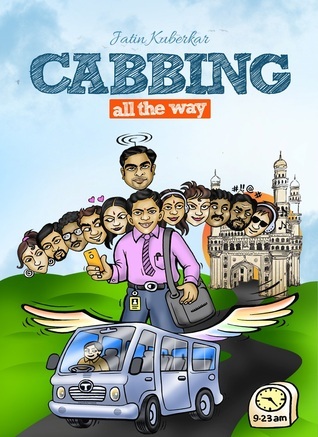 Today, I am sharing the Guest Post by Jatin Kuberkar, author of Cabbing All the Way on his writing schedule and his tips on handling the challenges faced while writing a novel. Checkout the guest post and the book below. Enjoy! 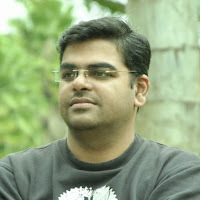 I would love to know about the author's writing schedule and his tips on handling the challenges faced while writing a novel. To be honest, I don’t follow a strict routine or allocate a fixed time to write. I am an IT professional and the working week often makes me feel ‘weak’ at the end of the day to follow a daily routine. When struck by an inspiration, I do not jump to write it down or give it a formal outline. I let it sink into my beliefs. I let it mature or grow by itself. Then I start creating stories around it. Sometimes, I actually start writing in my mind. I still hand-write most of the draft part. It is easy and has less diversions. The first draft is often a rambling of thoughts – flying on the wings of ideas, I sometimes even write words in hindi or telugu on not remembering the corresponding world in English. Then as a second phase I try to give it a structure, give it proper start and end, divide it into chunks or chapters, remove unnecessary/redundant parts. I do not give much importance to ‘well-formedness’ at this stage. When I am convinced that the ‘Concept’ is well developed, only then I look at the language. In my opinion, a book is never complete. An author can never say that a novel or story is complete. Every time I read my own work, I feel that a particular situation could have been written differently, it could have been described with a different perspective…the process is never complete. The biggest challenge that I had faced while writing my novel was to maintain continuity in the flow. My novel is completely based on real experiences. I had to put bits of fiction to make it presentable. As for the continuity, it was a tough task to connect one incident with the other. But in the process of write, I came to realize that all it takes is time. As a writer, I need to be patient and keep revisiting the work. The more I read, the more I saw mistakes, disconnects and obvious potholes in the plot. I had also decided to use colloquial slang in my book and explaining them was another point to think about. Finally, I settled for giving footnotes for the colloquial words.